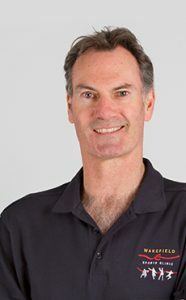 Michael was the Adelaide 36ers physiotherapist for 21 years before his retirement from the team in 2008. He has also worked with National League Soccer and national basketball and volleyball teams. His particular interests are shoulders, jumping injuries, swimming injuries, exercise therapy and acupuncture. He is a life member of the Adelaide 36ERS and Burnside Swimming Club.